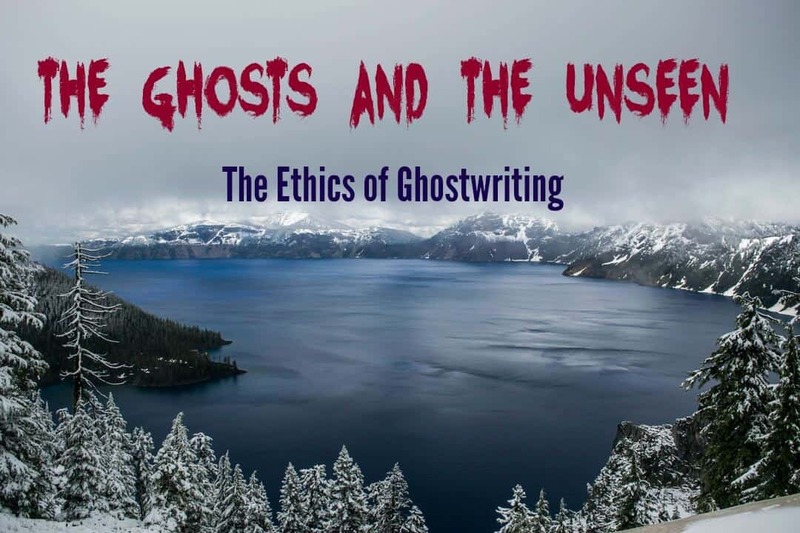 The Ghosts and the Unseen: Is Ghostwriting Ethical? Citizens living in ancient Athens hired Lysias to write speeches that persuasively extolled their positions. Julius Caesar used ghostwriters to produce Commentaries. Many of Nero’s speeches were actually written by Seneca. Alexander Hamilton wrote George Washington’s farewell address. Ulysses S. Grant’s memoirs were also written with the help of a ghostwriter — Mark Twain. The Monroe Doctrine was penned by Secretary of State John Quincy Adams. JFK worked with a ghostwriter on Profiles in Courage, which went on to win a Pulitzer. Many of the most beloved children’s books of the 1900s were the creation of one man, Edward Stratemeyer. While he originally used pseudonyms so that he could market his work under different “brands” — like The Hardy Boys and Nancy Drew — the demand grew to the point where he could no longer keep up on his own, so he hired ghostwriters. He developed a template of sorts — like insisting that every chapter end with a cliffhanger — and would send that template along with a synopsis of the story idea off to a writer, who would take the idea and turn it into a marketable product. And the number of celebrity books written by ghostwriters is too high to count. Deception is a matter of perception. I was absolutely flabbergasted when I came across this conversation on inbound.org and quickly found myself in the minority. After a great deal of pondering, I think the reason I don’t see ghostwriting as deceptive is because it never in a million years would have occurred to me that “thought leaders” and “influencers” were writing their own content. And I was shocked that so many marketers did think that. I wondered if my insider’s perspective was speaking so loudly that I couldn’t hear the rest of the conversation, so I conducted a (completely unscientific) Facebook poll to find out what my other friends thought. All but one respondent said that they always assumed most of that content was written by someone else. The one exception said, “It depends,” but didn’t elaborate, so I’m not sure what to do with that one. Regardless, perhaps the feeling of deception is dependent on your expectations. If you never thought these leaders were developing their own content, there’s no feeling of deception. An honest look at our culture indicates that we don’t mind ghostwriting when we know about it. Take presidential speeches, for example. Presidents are supposed to be the “thought leaders” for the entire country, yet no one even blinks at the knowledge that someone else writes their speeches. Business executives? I can only speak from my own experience, but I’m honestly shocked at the idea that anybody would think they write their own speeches. They’re too busy focusing on things like EPS, EBIT, profit margin, market share, etc. You can be brilliant without knowing how to write. From the time I was a baby writer fresh out of college, I was writing for executives who, while absolutely brilliant from a business perspective, couldn’t get their thoughts on paper. What they said when we sat down and talked bore no resemblance whatsoever to what they wrote. It wasn’t even the same message. And that’s OK! Writing is a skill just like anything else. I don’t do my own taxes, but that doesn’t make me a lousy business owner. It makes me a smart business owner, because I do what I’m good at and pay other people to do the rest. So my expectation is that smart leaders have a pro do their writing while they concentrate on running the business. Some argue that, since ghostwriters aren’t “experts,” their writing is less credible. While it may be true that ghostwriters are more likely to make mistakes (which is one of the main reasons it’s so important for the person whose name will be on the content to read it before publishing), just because someone has earned the moniker of “thought leader” or “influencer,” that doesn’t mean they’ve been sprinkled with fairy dust that ensures they’ll never again make a mistake. I have caught mistakes in material sent to me by “experts,” and I’ve had situations where the source articles they sent me were highly questionable, so I had to find my own backup sources to keep them from looking bad. Experts and thought leaders make mistakes just like anyone else, so let’s not put them on too high a pedestal. One of the complaints I hear is that ghostwriting exploits writers. I call BS. I’m a big girl. I charge more for ghostwriting than I do for bylined work, because those bylines have a tangible monetary value. I sell a product and, if I negotiate a bad deal, that’s on me. Nobody else. The one thing I do struggle with is that I can’t use my ghostwritten work in my portfolio. Again, though, that’s on me. No need for anyone else to worry their pretty little head about my not getting credit. Not only do brands exist, they’re everywhere. We even talk about “personal branding” and “the brand of YOU.” So it’s disingenuous to pretend we don’t know that a brand name, logo, etc., signifies endorsement more than hands-on involvement. When I board an airplane, I don’t assume that the CEO engineered the plane’s design or that he will be flying the plane. (And, if I did, I’d get off! ) I assume that the CEO built an organization, and that the organization recruited and retained experts who knew how to design and/or fly the plane. Similarly, I don’t assume that Michael Jordan actually designs the shoes that bear his name, and I don’t assume that celebrity chefs create all of the recipes used in their packaged food products. I don’t even assume that Olympic athletes actually eat Wheaties. I do, however, consider the use of their name to be a stamp of approval for both substance and style. Like ghostwriting, licensing and celebrity product endorsements have been around for a very long time, and I struggle to see a significant difference. With the exception of academic writing, which I do consider to be cheating, I really don’t understand why so many people find ghostwriting to be unethical. But I’m open to being convinced. What do you think? PreviousIs your content successful? Maybe…if you know what “success” looks like. NextShould your content have writer bylines?